Many of you were taken by the Espresso Book Machine by Xerox and the news of the first European Print-On-Demand bookstore opening in Paris. You had many questions in regards to the resulting book’s cost, the quality of printing etc, so I thought I’d come up with a little more information on the technology. You will notice that it’s really a fancy laser printer with great collating and trimming features. However, I couldn’t help but notice that the pages are A4-sized and printed in a portrait orientation (see 1’53” or image on the right). That means the machine is ideal for textbooks and reports, but fans of literature may find the end result unflattering. At least, it’s not expensive: Xerox says that cost is under a penny per (A4) page, so that shouldn’t be too bad! Xerox is also offering services aimed specifically at Indies. Basically, you either use their own self-publishing toolset called SelfEspress and order online or take your completed PDF to any EBM location, and they do the rest. In a move that looks aimed at CreateSpace, Xerox also allows you to create your book on SelfEspress and they publish the ebook version on Amazon, B&N etc. SelfEspress℠ is the online self-publishing toolset for the Espresso Book Machine (EBM). The SelfEspress platform provides powerful writing & cover creation tools that allow you to collaborate with people as you write, and turn your finished work into a professional looking paperback or ebook with just a few clicks of the mouse. Projects can be Private so the book can only be ordered by you, while you also have the option to offer your work for sale in the SelfEspress Marketplace, via EBMs worldwide, and even online through distribution partners like Amazon, Ingram, Barnes & Noble, etc. I love how this subject has caught your imagination. My author friend, Audrey Driscoll, shared a site that lists worldwide locations of Espresso Book Machines and offers a number of further information on the subject. “I work in a bookshop, but the company is a publisher too. 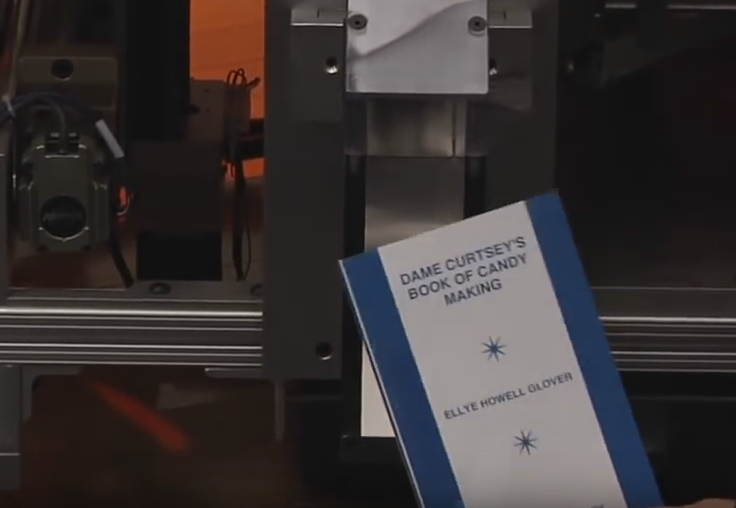 We do produce digital books in-house and use Xerox for this – a machine very much like the one in the video. Only we refile our books by hand. What a phenomenal concept! It was only a matter of time! I see we’ve got one – in Joburg!! Now I’m really excited! More interesting information on the print-on-demand bookstores that are cropping up. Nicholas C. Rossis provides us with great information on the ‘Espresso Book Machine’. Thank you very much for this great work, Nicholas! We really appreciate it!